After the Unlimited Calls plan by Reliance Communications for CDMA and Uninor for GSM, now the focus of Indian mobile price war shifting to the Unlimited Callings on Own Network as well as some free benefits to make calls to other network. Tata Indicom the CDMA mobile service brand of Tata Teleservices initiated radical move to lure its CDMA mobile service users across India (except Mumbai and Maharashtra-Goa circles) by introducing 3 new Unlimited Calling Plans at Rs.199, Rs.299 and Rs.599. 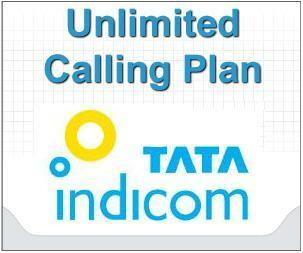 The Unlimited offer for Rs.199 allows Tata Indicom customers unlimited local calling at a monthly recharge of Rs. 199. This pack offers Unlimited Onnet free calls to any local Tata phone. All other network and STD calls will be charged at 50 paisa per minute. The Unlimited offer for Rs.299 provides unlimited Local calling to Own Network plus Local 30 Local off-net (other network) minutes free per day for 30 days, 30 additional Local off-net minutes free on Sundays. The third Unlimited offer for Rs.599 allows unlimited Local and STD callings to Tata Indicom Network plus 30 Local + STD off-net minutes free per day for 30 days, 30 additional Local + STD off-net minutes free on Sundays. FREE additional Local Minutes on Sundays. FREE 30 additional Local + STD Minutes on Sundays. Note-: Above plans are not applicable in Mumbai and Maharashtra telecom circles. can tell me regarding 995 plan ?